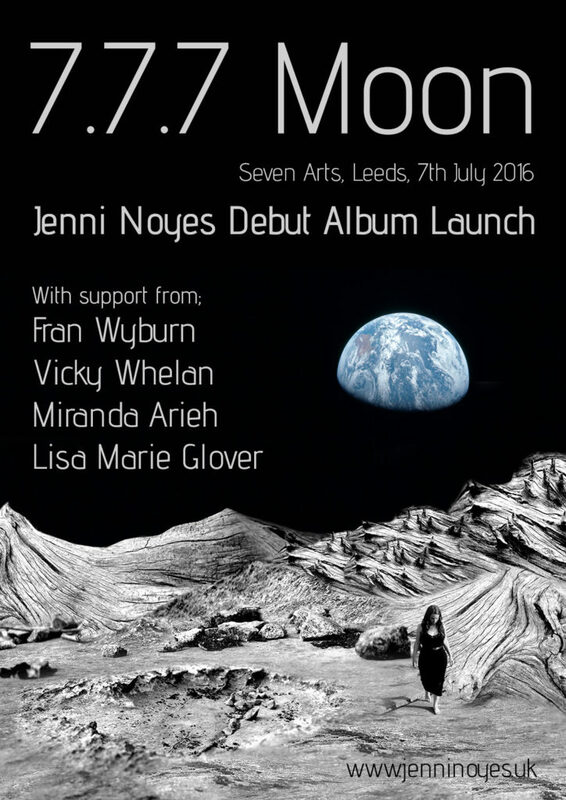 7.7.7 Moon marked the release of my debut album Alone on the Moon on CD. To help the audience acclimatise to the moon, the performance room in Seven Arts, Leeds was chosen for its tiered seating and separation from the noisy bar. Dave Lynch created and projected a 1 hour loop of the moon filling the entire back wall and 30 minutes in, earth appeared in the distance behind the performers as they played. Gifts, chosen for their ability to quieten the mind, were given upon entrance; a flower, a flower press and a Moon bookmark complete with genuine moonstone. The night was introduced with a 10 minute talk about my inspirations relating to the Moon, the 7.7.7 gifts, Amanda Palmers ‘The Art of Asking’ and my journey through a Kickstarter campaign. With tickets sold out before-hand and solo performances from Miranda Arieh, Fran Wyburn, Lisa Marie Glover and Vicky Whelan the event was a huge success. Joined by LeeSun on stage, we all came together for a last minute a capella performance at the end. I still have some 7.7.7 Moon gifts left over from the event; pressed flowers and moonstone bookmarks that were pre-blessed by a handful of goddesses. These are limited in number and cannot be replicated so if would like one of the 25 left, please click here. You can also purchase a print of the poster from the night here.